Glaxo’s chief executive has sought to distance himself from bribery allegations engulfing the pharma giant in China. Sir Andrew Witty was speaking for the first time since it emerged some of his senior executives allegedly bribed doctors and officials with money and offered to arrange sexual trysts. He said he had delegated responsibility to a senior colleague, Abbas Hussain, because he had to focus on other things. Witty, said: ‘I take this very seriously but the organisation has to do a lot of things beyond focus on China. China accounts for 3 per cent of annual sales worth around £1billion. Witty acknowledged the allegations were ‘shameful’ and said: ‘I am personally very disappointed.’ He said he had not visited the country and would only go when ‘it is the right moment’. He has dispatched Hussain, the leader of his European and emerging markets business, to spearhead the ‘day-to-day response’. Witty said it was too early to start thinking about gestures such as forgoing his bonus. ‘Where I think we need to be focused is to make sure that we are working with the authorities to get to the truth of what has happened,’ he said. Witty also used a third-quarter update, in which profits fell, to warn the scandal would hurt performance. 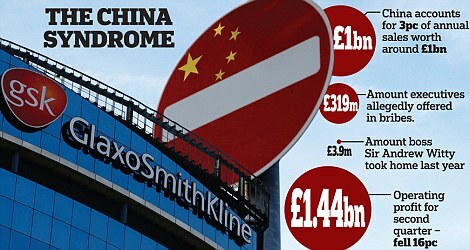 Glaxo’s management team in China has been left in disarray by police allegations that they are looking at payments up to £319million to travel agencies to facilitate bribes to doctors and officials. Glaxo has appointed an American law firm to carry out an independent review of its Chinese systems. The firm has admitted some Chinese executives appeared to have broken the law and says it has been liaising with regulators including the Serious Fraud Office. Glaxo has also been in contract with the Government through the Foreign Office. Witty said the investigation ‘appeared to be focused on a number of senior managers who have been operating outside of our processes, potentially defrauding GSK and also at the same time allegedly doing some things in the market place which are clearly inappropriate and illegal’. The allegations overshadowed the first signs a pipeline of new drugs could transform performance. Core second-quarter profit fell to £1.943billion from £1.979billion. The shares rose 13p to 1681p. I completely agree, AW is incompetent… he doesn’t have an y idea of what is going in the company. Believe you me! But it happened on your watch Sir Andrew!! Poor chap, probably got short term memory loss over the £3 BILLION fine accepted in USA only in 2012 for doing other naughties. Quick, find me a fall guy! the ‘man at the top’ is paid to tackle the tough issues, if you’re not man enough then step aside! So profits fell. It is very worrying when those at the top don’t know what is going on in overseas subsidiaries. 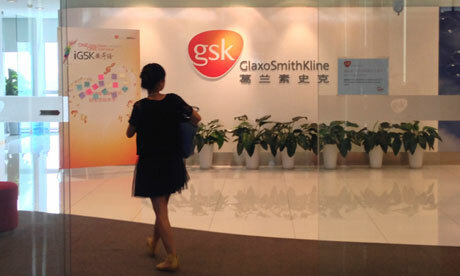 GlaxoSmithKline Plc (GSK)’s (GSK) sales in China jumped 20 percent to about 1 billion pounds ($1.5 billion) last year, almost quadruple the pace of growth across its emerging markets. Police say bribes and sexual favors spurred the gain. Liu Xuebin recalls working 12-hour shifts and most weekends for months, under pressure to announce research results that would distinguish his GlaxoSmithKline Plc (GSK) lab in Chinaas a force in multiple sclerosis research. It paid off — for a while. Nature Medicine published findings about a potential new MS treatment approach in January 2010 and months later Liu was promoted to associate director of Glaxo’s global center for neuro-inflammation research in Shanghai. 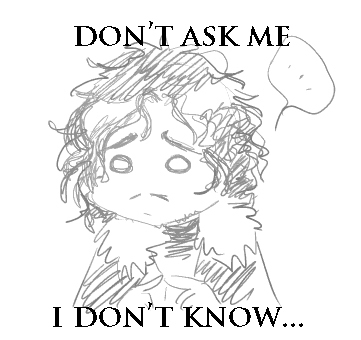 Two months ago, his career unraveled. An internal review found data in the paper was misrepresented. Liu, 45, who stands by the study, was suspended from duty on June 8 and quit two days later. His story, told in a cafe a short stroll from his former workplace, offers insight into Glaxo’s zeal to succeed in the world’s fastest growing major drugs market, where the London-based company languishes in 12th place. Glaxo is now the subject of a corruption probe, and three other drugmakers have been, or are in the process of being, examined by authorities in China, where intense competition built incentives for employees to bend rules and cut corners. The China-born scientist was the first of 18 authors on the 2010 paper, which included graphs later shown to have incorrectly labeled healthy human cells as being those frommultiple sclerosis patients. Liu says he opposes a retraction of the paper. Glaxo, the U.K.’s largest drugmaker, disclosed the error in astatement on its website on June 10, the day Liu resigned. The head of Chinese research and development was fired and three others were placed on administrative leave pending a final review, it said. The paper, titled “Crucial role of interleukin-7 in T helper type 17 survival and expansion in autoimmune disease” was from preclinical, early stage research and didn’t directly involve patients. Daley didn’t respond to a question regarding the competitive environment Liu described. Nature Publishing Group declined to comment specifically on the status of Liu’s paper. In those situations, Nature’s editors will decide in consultation with the authors, Campbell said. The disputed research isn’t part of the investigation of Glaxo China announced in late June by the nation’s Public Security Ministry of alleged economic crimes involving 3 billion yuan ($489 million) of spurious travel and meeting expenses, and trade in sexual favors. Glaxo’s head ofemerging markets Abbas Hussain said on July 22 after meeting with government officials in Beijing that some of its employees may have broken China’s laws. The drugmaker has said it’s cooperating with the government’s investigation. Still, Liu’s experience tells of the rapid expansion in research from immune diseases to herbal medicines that Glaxo underwent in China and of the competitive environment in which he and colleagues worked. Johnson & Johnson was fined for monopolistic practices last week. Eli Lilly & Co. was reviewed earlier this year by authorities in Shenyang, the company said on Aug. 1. An unidentified whistle-blower alleged that Sanofi gave about 1.69 million yuan ($276,000) in bribes to 503 doctors in China, the 21st Century Business Herald reported today. Sanofi “takes very seriously” the allegations in the report and has established processes in place for reviewing and addressing such issues, the company said in an e-mailed statement today, adding it was premature to comment further. The China-based research units of most global drugmakers tend to support centers located in the U.S. and Europe. Glaxo’s facility in Shanghai was different: it was conceived to lead the company’s global efforts in research into neurodegeneration. It would “eventually direct the global discovery and development activities” for disorders such as multiple sclerosis, Parkinson’s disease and Alzheimer’s disease, Glaxo said in a May 2007statement. Establishing the center didn’t only enable Glaxo to tap a pool of talented Chinese researchers — many of whom had worked overseas, as Liu had — it was also politically savvy, said Fabian Wenner, a health-care analyst with Kepler Capital Markets in Zurich. “If you want a government contract, it’s easier for you to negotiate if you have a solid presence in China,” Wenner said in a telephone interview. Liu, who moved to the U.S. after obtaining a doctorate in immunology from Beijing Medical University in 1999, was part of the diaspora of Chinese researchers returning home. A U.S. permanent resident, he worked as a senior biologist at the Bethesda, Maryland-basedNational Institutes of Health before becoming the 30th person hired at Glaxo’s Shanghai research center in December 2007. The center, located in a technology park on the eastern outskirts of Shanghai, now has a staff of about 500. He’s now unemployed and contemplating returning to the U.S. to escape damage done to his reputation in China. “This situation has destroyed my past and maybe even my future, but I still hope someday to be back researching drugs,” Liu said.